It can be heart wrenching to see and hear your baby cry when you leave them behind. Your child clinging to your legs like a spider monkey and screaming until their face turns purple can feel alarming. It might feel like the separation anxiety your child is experiencing is something your child is only doing—don’t worry, it’s very normal. While it might not seem very comforting when you are facing endless weeks of sleepless nights or leaving your kids in the hands of another person, right? Not to worry – there are some tips to help you out! 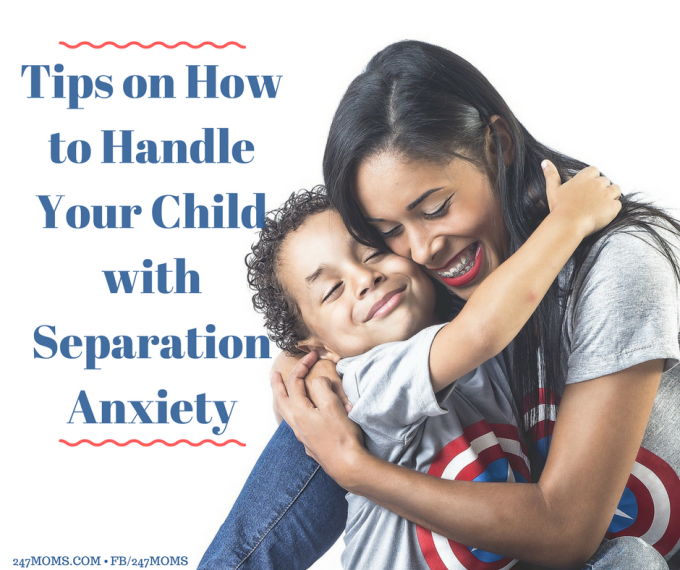 These tips won’t end separation anxiety forever since it is part of your child’s development, but it will hopefully help minimize the effects of your child’s separation anxiety and make it easier for them and yourself. Work to create a bedtime routine that is soothing for your baby or toddler. This will help them relax before bedtime. It will also provide your child with consistency. When you put on an anxious face or when you cry along with your child, you are reaffirming to your child that bedtime or leaving them is terrifying. Try to work to keep things light by remaining calm at bedtime or naptime and when leaving them behind. Your calm attitude will help them feel relaxed and confident too. It might seem easier to simply wait until your child is distracted or drowsy then to slip out of the room. In the long run, it gets make things much worse. It can add to your baby or toddler’s fears and for them to become more uncertain of the situation. Instead of sneaking away tell your child goodbye with a warm hug and then let your child know you will see them in the morning or soon enough and walk out of the door. If your child wakes up in the middle of the night and starts crying and screaming, feel free to comfort them. this helps to reassure your child that you are still there and nearby. Try to keep the interaction short. It’s not a time for you to read books, sing songs, or play something. You don’t want to create a habit of them thinking it’s a time for fun and games, but to let them know you are there and that it is time for bed.